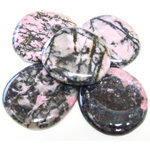 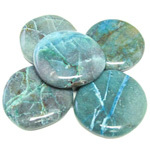 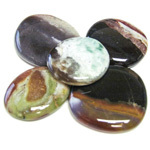 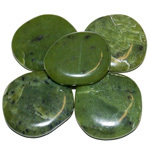 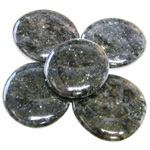 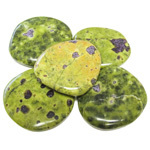 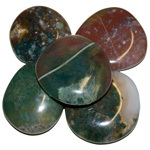 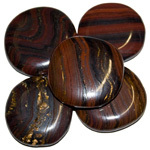 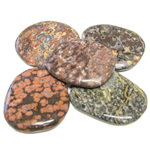 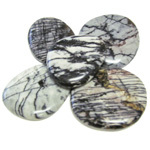 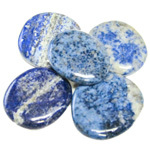 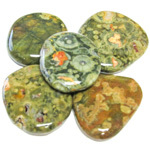 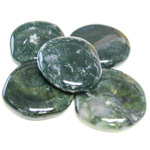 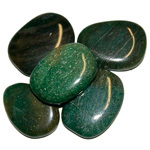 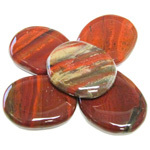 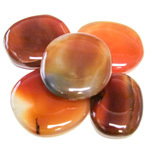 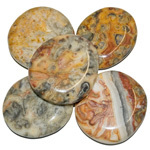 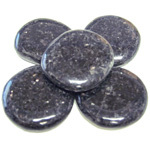 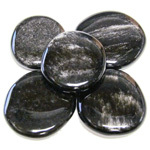 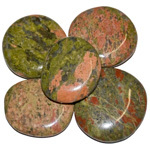 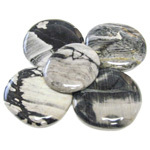 Kambaba jasper is a sedimentary stone from Africa of fossilized algae. 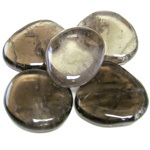 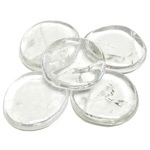 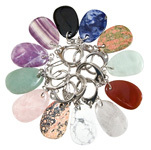 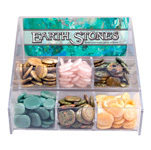 It contains Amphibole, Cristobalite, Feldspar, Quartz, Sanidine, Albite, Uralite, Leucoxene, and Rutile/Hematite. 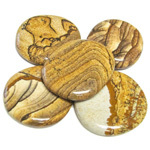 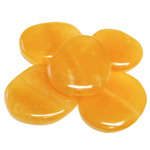 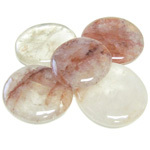 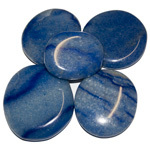 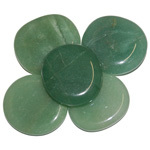 Kambaba stone brings growth not only to the Earth but also to our minds. 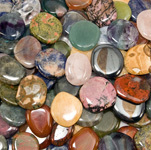 It is helpful to creativity and for inventing what's needed. 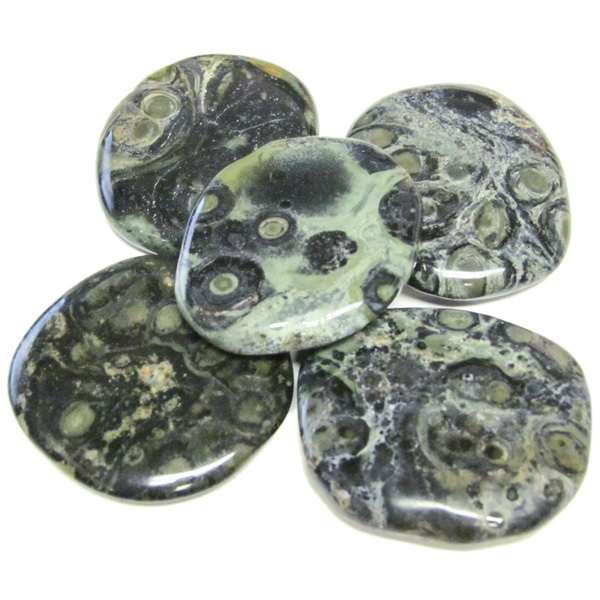 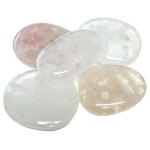 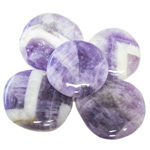 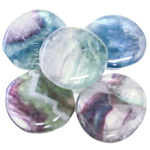 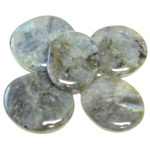 This stone is often deleted for alleviating worry and for support through stressful times because it draws forth prosperity and abundance.